Our Kings Leather Arm Bracers feature a very stately and strong design. The bracer comes to a gentle point at the wrist and the forearm. 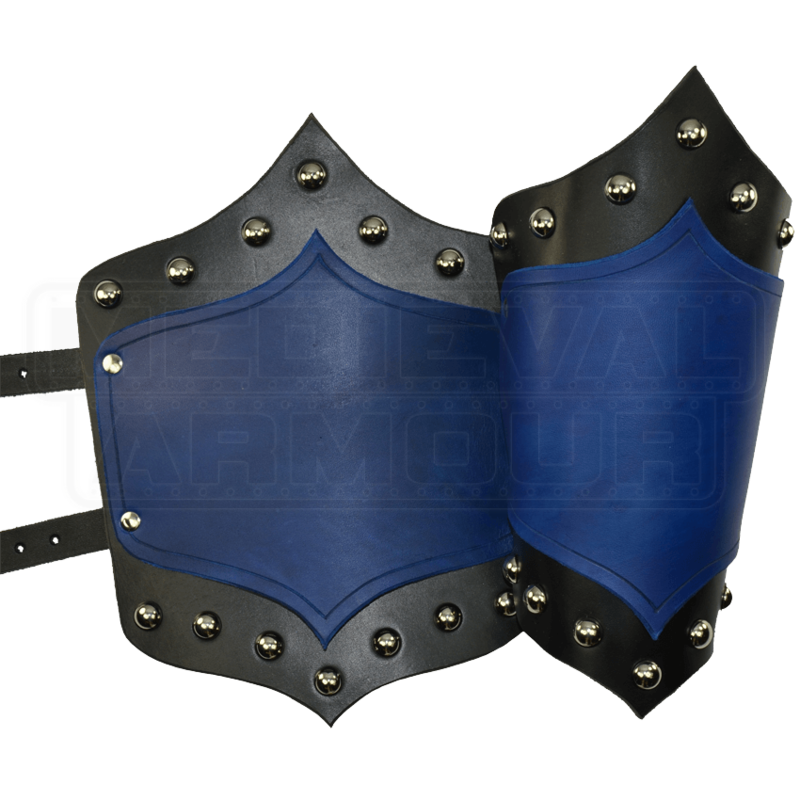 The edges of the leather are boldly lined with domed rivets which give the bracers a very noble look. The top layer of leather mimics the same shape of the bottom layer. The bottom layer of the bracers comes in black while you can choose your color of choice for the top layer. Hardware color will be either steel or brass depending on your color choice. The Kings Leather Arm Bracers attach to the arm via strap and buckle. These arm bracers are sure to be a great addition to your outfit and will work nicely for LARP, SCA, Ren Fairs, and general costuming. When selecting your color, the first color listed is for the base piece of the arm bracer. The second color listed is for the center accent.